North Dakota State will go for an unprecedented seventh FCS national championship Saturday, Jan. 5. 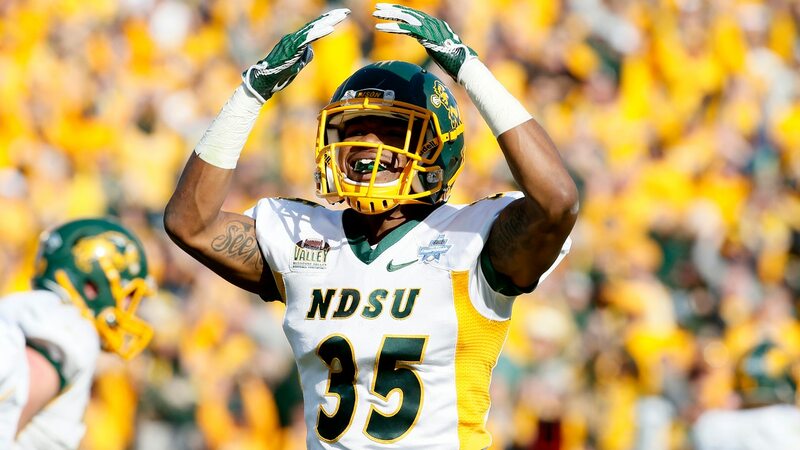 Meeting the Bison in Frisco, Texas will be Eastern Washington, one of two programs to defeat NDSU amidst its remarkable 30-2 run in the FCS playoffs since 2010. Saturday will be Klieman's final game at the helm of the Bison, after he was hired to be Kansas State's next football coach for 2019. Under Klieman, the Bison have won three national championships and are 16-1 in five postseason appearances. "I'm smart enough to realize this is my last chance to go down to Frisco," Klieman said in last week's coaches' teleconference. "More importantly for me, with 24 seniors that I helped bring in here with a lot of other help, bring these guys in, and I'm going to enjoy the journey. I'm going to enjoy the journey with those guys and have some fun as well." NDSU defensive coordinator Matt Entz will replace Klieman as head coach for 2019. Postseason results: Seeded No. 1 with first round bye; Defeated Montana State in second round, 52-10; Defeated No. 8 Colgate in quarterfinals, 35-0; Defeated No. 5 South Dakota State in semifinals, 44-21. Regular season ranked wins: No. 3 South Dakota State, 21-17 (Sept. 29); at No. 22 Northern Iowa, 56-31 (Oct. 6). 2️⃣ will play for it all! 🏈 Each county in US assigned to closest team in the bracket. 🏈 When a team wins, they take the territory of the loser. Stick is 48-3 in 51 career starts under center for the Bison. He'll go for FCS-record win No. 49 on Saturday. Stick has 40 total touchdowns (26 passing, 14 rushing) to just five interceptions in 2018 with a nation-best 172.6 passing efficiency. He was named Most Outstanding Player in last year's championship game win over James Madison and he's up for this year's Walter Payton Award, awarded to the top offensive player in the country. Five different players have reached at least 500 rushing yards for the Bison this year. Anderson leads the deep group with 940 rushing and 1,342 all-purpose yards. He's second among NDSU running backs with nine touchdowns and has four straight 100-yard all-purpose games heading into the final game of the year. Shepherd is Stick's go-to guy through the air with a team-high 57 receptions and 940 yards. In last year's title game win over JMU, his 50-yard touchdown catch in the second quarter helped lift the Bison to a 17-13 win. He only has seven catches in three games so far this postseason, but look for the 5-11, 188-pound target to be a key factor again in Frisco. Have a day Easton, have a day! Stick ties a career-high 3 TDs with a 28 yard scamper. There was no sophomore slump for Cox, who did a little bit of everything for the Bison's defense. The linebacker finished with 88 total tackles, 9.5 tackles for loss, four sacks and four interceptions. He returned two of those picks for touchdowns. Cox had a season-high 10 tackles in NDSU's second round rout of Montana State. Menard returned strong after a knee injury sidelined him for the entire 2017 season. He started all 14 games this year, posting 10 tackles for loss and eight sacks. Menard was one of eight Bison named to the 2018 STATS FCS All-American teams as a third-team member. Quarterbacks, beware when throwing in Grimsley's direction of the field. The senior safety leads the team with six interceptions this year, including one this postseason in NDSU's semifinal win over South Dakota State. Grimsley is third on the team in both pass deflections (11) and total tackles (78).